Taking the fire that destroyed the Fenice theatre in 1996 as his starting point, John Berendt creates a unique and unforgettable portrait of Venice and its extraordinary inhabitants. 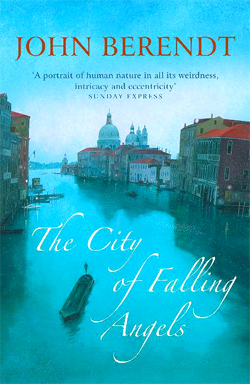 Beneath the exquisite facade of the world's most beautiful historic city, scandal, corruption and venality are rampant, and John Berendt is a master at seeking them out. Ezra Pound and his mistress, Olga; poet Mario Stefani; the Rat Man of Treviso;or Mario Moro self-styled carabiniere, fireman, soldier or airman, depending on the day of the week. With his background in journalism, Berendt is perfectly poised to gain access to private and unapproachable people, and persuade them to talk frankly to him. The result is an elegantly captivating narrative which is mischievous, witty, and utterly compelling.